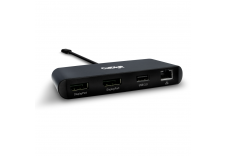 Thunderbolt™ 3’s ability to offer data, audio/video, and power in one cable now means that user can charge their Mac laptops with the TS3 - Thunderbolt™ Station 3. 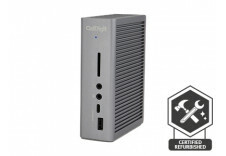 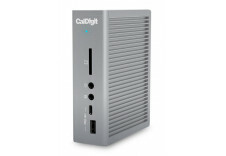 Featuring dual Thunderbolt™ 3 Type-C ports, three USB 3.1 Type-A ports, DisplayPort, dual eSATA, Gigabit Ethernet and Audio In/Out, the TS3 offers a host of connectivity options. The TS3 can also be integrated into any workflow in either a horizontal or vertical orientation, allowing users to choose how they display the device on their desk.